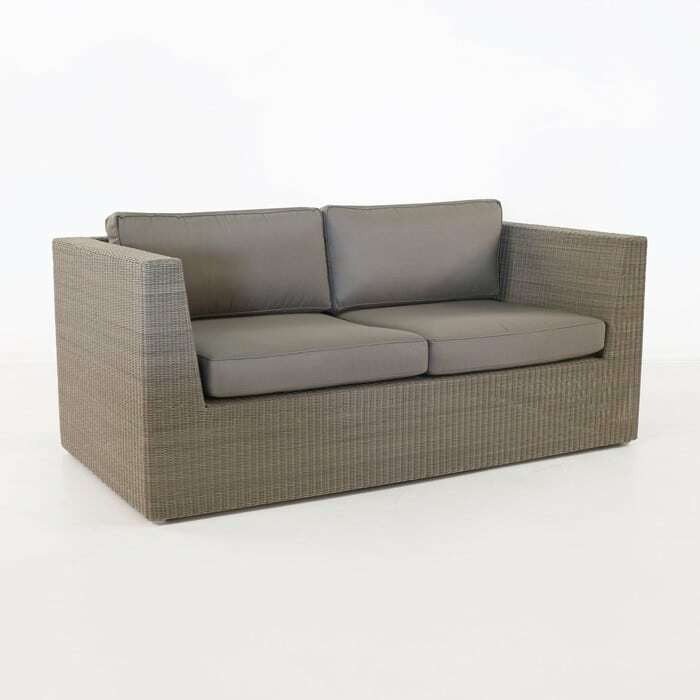 The Contemporary styling of the Antonio Outdoor Wicker furniture collection is a gorgeous nod to the bold, angular modern style, but with a slightly softer look and a more neutral color scheme. The subtle off-white Stonewash color is a beautiful complement to any outdoor space. 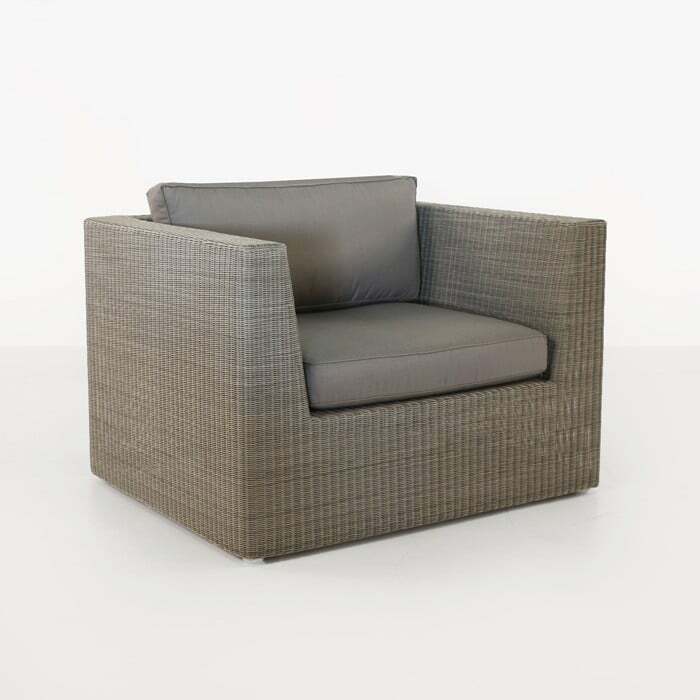 The clean lines are square in nature and the premium synthetic outdoor wicker fiber is expertly woven onto a lightweight powder-coated aluminum frame that offers wonderfully low maintenance requirements and will look incredible for years to come. 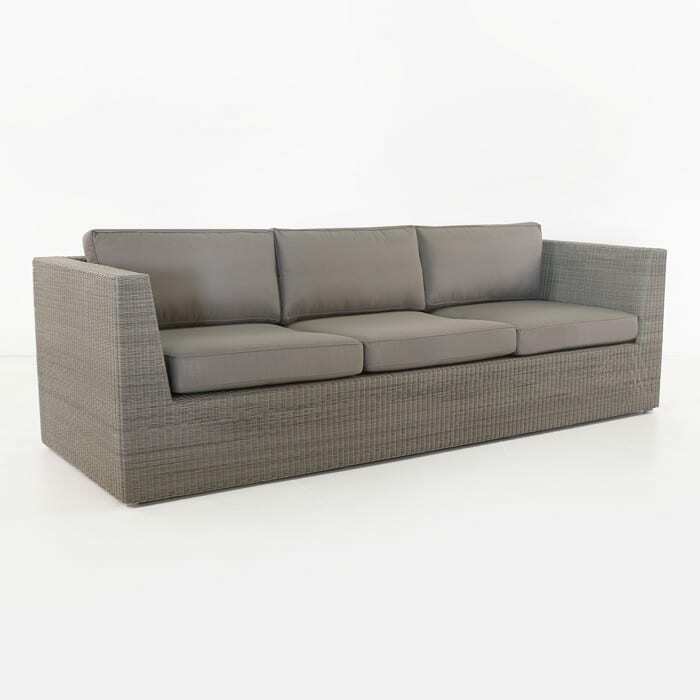 This outdoor wicker furniture collection includes a single seat club chair, a two-seat sofa (loveseat); a three-seat outdoor sofa and an outdoor ottoman, all in the gorgeous “Stonewash” color. Sunbrella cushions are included free of charge.